Though it sounds harsh, we need to take a close look at our expectations and learn how to keep them in neutral. We have turned into a society that expects the world to be at our beck and call. We’re often entitled and don’t understand why we can’t have what we want … now! Maybe this is one reason why people are pretty cranky these days; society is headed in an unpleasant direction. I share some of my innermost thoughts to help keep expectations in check. I’m seeing people, on a national level, being unreasonable when it comes to what possessions and estate items are selling for these days. 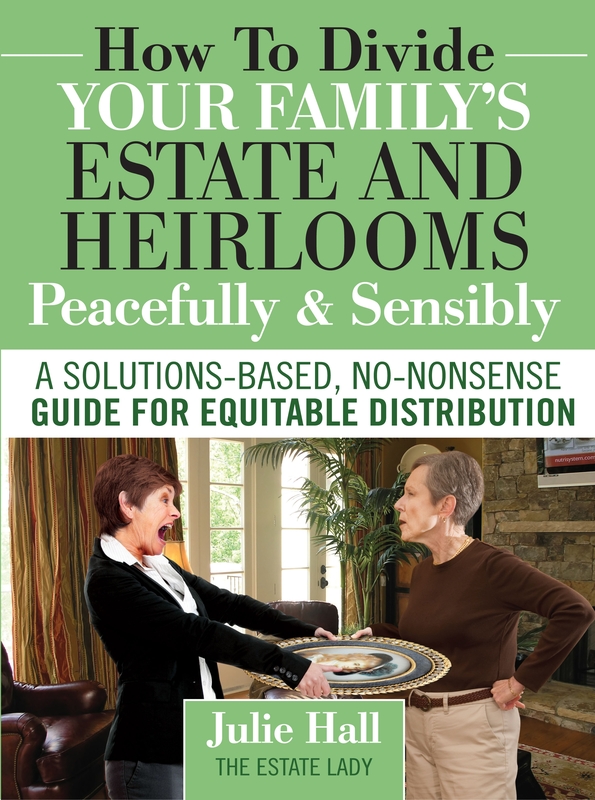 Although there are multiple reasons for this, we need to look longer and deeper into the reasons before blaming the estate sale professional, auctioneer, consignment company, etc. Each time I hear someone say, “Why are things selling so low? Why hasn’t the market come back yet? I just don’t understand!” I am really surprised. If you are watching the news, the internet, or any other global source, it should come as no surprise that things are a little crazy in the world. Despite what mainstream media announces, the economy from our perspective (the sellers) is not improving. It is currently, and will remain, a buyer’s market for quite some time. Personal property is low, just like almost everything else. Our expectations should remain fairly low until such a time that these items regain popularity or collect-ability, when and if that time comes back. We, the sellers of personal property, know the market; one of our faults may be not explaining this completely to our clients. We need to do our best to fully explain the poor economy, the flooding of the market from our older loved ones leaving us, the boomers downsizing, and our younger adults not wanting much stuff. Flooding of the market is a concept easy to understand, once it is explained. I have also attributed the client blame, which I hear from estate professionals, to several factors outside our realm of influence. People need money, or need to preserve the money they have. People are worried about the heavy costs of healthcare, especially long-term chronic care. How long can they keep their parents’ care going if they outlive their money, which many are doing? People believe family lore about how valuable certain pieces were, only to be side-swiped with a realistic fair market value. This derails them and rapidly deflates their bubble of expectation. 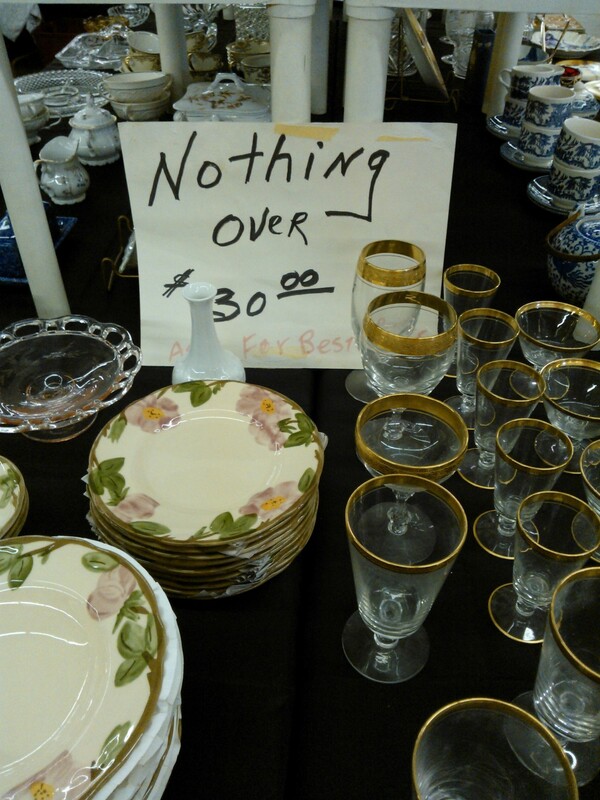 They thought these items would sell for a small fortune, and in most cases, they don’t. When times were good, our clients paid top dollar for nice, well-made furniture; often thousands of dollars were spent. Retail no longer exists in our world, so forget about retail. This furniture will not sell for 75% or even 50% of what you paid for it in most cases. Prepare yourself for 25% to 30%. If it sells for more, consider that a fortunate occurrence. When all of this knowledge converges and comes tumbling down, the property sellers often get slammed with anger and frustration. People need to understand that most possessions do not appreciate in value, even if they are special and expensive. Unfortunately, you may have paid too much for items in the past. That cannot justify a high or unrealistic price when you sell them. I really want my voice to reach both the consumers and my colleagues in the industry. There are always two sides. IF an estate professional does their due diligence in every respect, is it fair for the client to be harsh towards the professional, due to unrealistic expectations? This is why communication is so important! 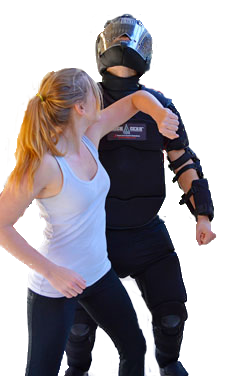 Look at other people going through tough times and how quickly styles, lifestyles, and people are changing. Look at the market with a reasonable eye. Keep your expectations in neutral. We’re all in this boat together! Lately I’ve been noticing more and more people with lower spirits than normal and what seems like ever-growing obstacles in their lives. In my industry, I have colleagues in a wide variety of occupations and I will ask them how the economy is affecting them or their business. Across the board, most everyone is not necessarily complaining, but weary and concerned. Rightfully so. I am no different, as things have an effect on me too. That’s usually about the time I go to my garden to renew my spirit, give thanks for everything I have, talk to the veggies and to my late parents. It usually makes me feel better. No one really knows this, but sometimes I go to my garden just to let out a few tears and decompress. It is a normal and healthy release for all the unknowns we are living through. We need to place the emphasis on “living through,” meaning, this will pass and we will do our best to find ways to deal with it all. I remember the phrase exactly; “you’re okay … look … you’re fine, just a little scratch, no problem. You just have to get up and shake off the woogies. Let’s get up and shake them off so they’ll go away.” It worked like a charm. She stood upright, shook her little body, and went on with life. Don’t ask me where my brain picked up that silly phrase, but it made sense then and it makes sense now, to learn to shake off the woogies in our own lives. The “woogies” mean different things to different people, but the one thing we need to remember is to always get up and do what we can to shake them off. It’s not as simple as cleaning a toddler’s skinned knee anymore, as our maturity has brought far greater challenges, but if you are creative, you can find a way to shake them off. I highly recommend growing a garden. There comes a time in everyone’s lives where you either face the demon or you don’t. Not one to shy away from much, including a nasty demon who was helping himself to my father, something simply had to be done. I encouraged dad to see his family doctor for testing, but he never did or he cancelled appointments. Mom didn’t push the issue, despite my sweet badgering, because as I was to learn later on, she was afraid. So afraid to uncover the truth that it seemed to paralyze her, and she was a strong woman. The letter I will share with you is a very personal demonstration of love between my father and myself, and how I saw things as they were rudely unfolding and trying to blacken our world. Not knowing what to do, or even how to begin doing it, I looked deep inside to find the right kind of solution because I felt damn helpless. All my life I could solve any problem, help anyone, come up with solutions. But I couldn’t beat this … not with all the tenacity in the world! Of everything that I had heard about dementia, how could anything ever be right again? It was that quiet inner voice that won my attention and I tried to reach my father through the love I had for him. “Love conquers all,” they say, and if that is true, my words would touch my father’s soul. That is exactly what I intended. If I couldn’t help him fight and win, the least I could do was offer love and hold him up. 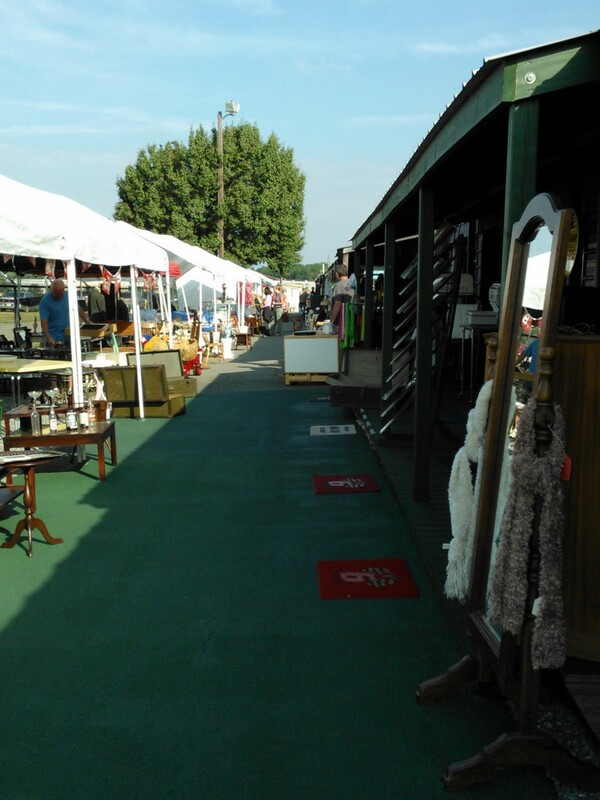 Yesterday I went to a local, but well-known, antique show held once a month. I was there at 9:00 am to get in the door early enough to try and seek out treasures, but the strange thing was that no one was waiting in line. At first, I thought maybe I had the date wrong. I could not figure out why the attendance was so low. Granted, it was still early, and as the day went on, more people came but I didn’t see anyone buying much. I was lucky enough to find a motivated, successful dealer. I use the word “successful” because he gets it … you must negotiate to sell items, unless you have very rare pieces that will command top dollar. That is much harder to find than people realize. I must have spent a couple of hours with this one dealer who let me “pick” through his tubs of scrap silver, jewelry, etc., and he gave me very fair prices, so I will be a repeat customer. Picture this: Dealers who have been there year after year with the same items, refusing to come down in price, even though the heyday for these items has come and gone. The heyday may come back again one day, but not anytime soon. Sadly, these dealers are so set in their ways; they will probably perish before they come down in price. They have the mentality that they must double or triple (or more) their money and they won’t settle for anything less. They are the dealers sitting in their booths, reading a book or newspaper, and not engaging in any human contact. I almost took a photo of one dealer fast asleep! When these dealers pass away, their kids will sell these items by sending them to an auction or through a liquidator. They are holding out for a certain amount or perceived value that will not come to fruition. Can you imagine traveling, packing, and unpacking these items for years and not selling all that much? To each his own, but that seems like a waste of time to me. I would be more motivated to move product. Compare these dealers to the first dealer who cut me great deals and was willing to negotiate … Who do you think will find favor with more buyers? Who will get more business because they negotiate, and are pleasant and easy to work with? If you want buyers to show you the money, you have to meet them halfway. It has, without question, become a buyers market. 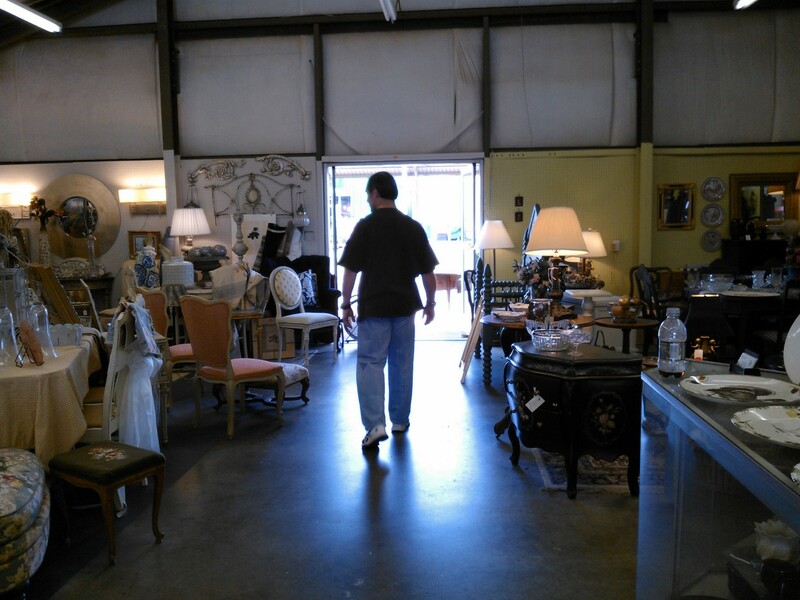 For those with extra cash to spend, you can rack up some great deals, even investment quality pieces. ESTATE LADY TIP: Silver and gold are beginning to inch up again. Buy what you can afford now. It could go up rapidly depending on current global situations. An estimated 50% of us have a will or trust! This is not good news! Most people have not yet comprehended (or accepted) that dying without a will is a very costly mistake that will negatively impact all you leave behind. It’s not just about the hassles and frustrations your heirs will go through potentially for years, but the expenses involved. Ultimately, the state you live in will make decisions regarding your estate that will not distribute it the way you would have chosen. In a nutshell, get it done now and leave a legacy of respect, instead of resentment. For those who do have a will, it is important to consider any changes in mental and physical health, as these could greatly impact the outcome of someone’s wishes. For example, let’s say mom’s healthcare power of attorney states that dad makes all decisions for mom in the event she is incapacitated, vegetative state, etc. Suddenly dad is exhibiting odd behavior and is diagnosed with Alzheimer’s, which is progressing rapidly. Can he now make sound decisions for mom? Or, mom may not think about these details and this is the time for the children to talk with her about it. So many Boomer children don’t know how to talk with their parents about these delicate issues, so permit me to offer some very sound advice. It has to be done; it has to be discussed, as painful as it is. If left “under the carpet,” no answers will be available to you should they become infirm or die. Get the answers now, and do so with love and compassion. Here’s one example: “Mom, we were thinking about yours and dad’s situation. Now that dad is showing a decline in health, new decisions have to be made and documented so your wishes are fulfilled the way you would like them to be. Dad is no longer capable of understanding complex issues, and you will need to choose a new healthcare power of attorney, so we can ensure the correct decisions will be made. Can you please give this some thought? Can we make an appointment with your attorney to have this changed soon? This one example really gets you thinking. Anytime there is a significant change in your life or a parent’s life, consider discussing with an elder law or estate planning attorney. Being proactive isn’t always easy or pleasant, but it can head off gut-wrenching issues that will occur at some point, especially if you have elderly loved ones. Making sound decisions in the midst of crisis is not the optimal time to think clearly. Lead with love, and start communicating while you can! In years gone by, I can recall that the majority of my clients were the elderly looking for help downsizing. Somewhere around 2003, that all changed and the calls coming into my office were coming from children looking for help handling their parents’ estates after they passed away or help cleaning out their estates. Today, things have shifted once again. While I still work with the elderly occasionally, and certainly work with the boomer children who are the majority of my business, I see an ever-increasing (and hair-raising) trend of hearing from younger children whose parents have died unexpectedly in their 50s and 60s. Many children do not know what their parents’ final wishes are, nor how the estate is to be divided. They don’t even know if the parents have a Will or Trust. These are HUGE issues that weigh heavily on those left behind. Don’t do that to your children or beneficiaries. You are mortal and a plan has to be shared with loved ones. While you may not want to discuss this, you will feel much better after you do, and your children will thank you for it. They will be especially grateful when the time comes, realizing the care you took ahead of time to make their lives easier. Make an appointment to have a Will/Trust drawn up this week. Don’t die in debt. This is a horrid situation. Suffice it to say you create a nightmare for those dealing with your estate. Ask for an addendum to your Will so you can assign who gets what. Better yet, give it away while you are still living so there is less to fight about after you are gone. Start clearing out your home now, even if you are young. Don’t let it accumulate or it will snowball on you. gain control of the house (and the piles of stuff we all have) and start clearing out. Once a month, drop off items to a charity, or arrange for them to come to the house for a pick up. Have yard sales for a little extra spending money. If you haven’t seen it or used it in a year, let it go. Talk to your spouse and children about what you want. Both of my parents died without much warning. It’s a good thing they told us what they wanted and had the legal documents to back up their wishes. When the time came (and it did when I least expected it), I knew exactly what to do. I can still hear mom telling me, “Dad and I don’t want you to go through any more than you have to, because you will be going through enough when the time comes. We want to make this as easy as possible on you, and we have made these decisions ahead of time to remove additional stress placed on you.” This was music to my ears, not fully understanding the massive impact until I had to make a life and death decision for one of them. I still can’t believe how much love they had for us. These are not easy things to do. Doing them sooner, rather than later, will change the way you think about these issues and make it much easier for you and your family in the future. Take it from one who sees this trouble everyday. Give me a little while in an estate – any estate – and I will tell you more about that loved one’s life than most people who knew them. Walking into an estate, sight unseen for the first time, can be compared to an artist starting on a new canvas. We wipe the mental slate clean from the last estate and clear ourselves before going in to “receive” thoughts, feelings, and even a certain energy about the home and the people who lived there. One can sense many things immediately, if they are open to it. In my career, I have handled the estates of young and old alike: the mentally ill, the lost souls, those who end their own lives, the hoarders, the estranged, those with dementia, eating disorders, chronic disease, those who died rich, and those who died poor. While these are all very different, I have come to the conclusion that in the end, we are all pretty much the same regardless of the situation that led to the eventual demise. I went into an estate last week where someone ended their life. This is not common, but I see it a few times each year. The feeling is always the same once I have entered the home. I walk in and instantly feel a wall of despair. It is a profound sense of sadness. As I walk through the home, I will see other signs that something wasn’t quite right; either the home is too clean (as in OCD clean) or I see hoarding tendencies. Often scattered around in the strangest places, I will see liquor bottles coupled with a multitude of prescription bottles; you know what a dangerous combination this is. I look at what their hobbies and interests were, which will reveal much about them. And sometimes I can see conflict in their lives just by observing what was in their home. Was it mental illness, untreated depression, drugs, etc? We’ll never know. It is not unusual to sense that at one time, they were a very bright light. If we are in the home for any length of time, would you believe me if I told you that my staff and I begin to cry, or that we are filled with sorrow we don’t understand? It’s as if we can feel what they felt. We can feel that they were “stuck” in a dark place even though they had much to offer. A very sad situation indeed. We always end up praying for that person (for everyone, really), lifting lovely thoughts and words hoping that they have found peace at last, and that we are there to help the family begin to heal by handling the estate for them. On the flip side, we can also sense lives and homes that are buoyant, colorful, joyful, and productive. These homes are filled with light, usually lovers of animals and nature, and hobbies such as volunteering, bird watching, and gardening. In these homes, we usually just feel a stillness that has no heaviness to it. And in some cases, we start singing and are lighthearted while working in the estate. We don’t always understand why the environment affects us and our feelings. Two completely different experiences, and everything you can imagine in between. I believe there’s a way we can incorporate a conscious change into our lives and homes, so we can positively shift the energy we carry with us, for it remains long after we are gone, and deeply affects our loved ones left behind.